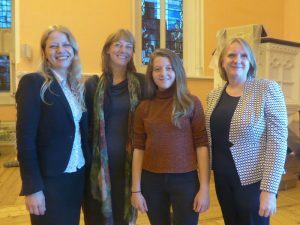 Highgate’s air is polluted but the community can be hopeful that plans will be in place to make it cleaner, was the message that attendees took away from the speakers at the Forum’s AGM on Wednesday. The Forum will also be repeating some of the readings from our survey and proposing local actions to highlight the issue and improve air quality. 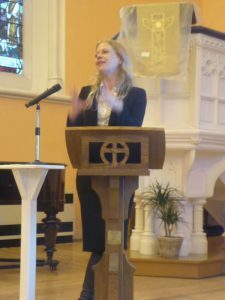 The first guest speaker was the campaigner, author and activist Sian Berry, who is a Green councillor of the Highgate ward (in Camden) and London Assembly member. She spoke enthusiastically about the many campaigns she has been involved with (including diffusion tube surveys around Camden) and her plans for pushing the Green agenda in London. The financial statement was accepted. Rachel was presented with flowers and a gift as thanks for the incredible amount of work she had done in the last two years. 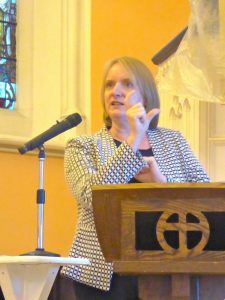 The meeting was held at the United Reformed Church in Pond Square, and the Forum is grateful to the Minister, Julian Templeton, for his hospitality. All papers related to the AGM can be found here.